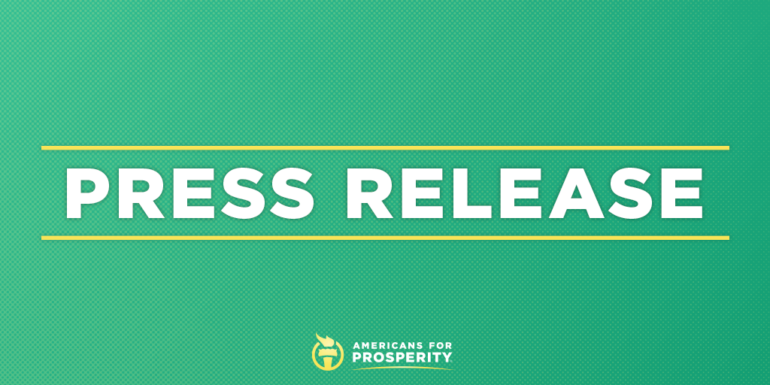 NAPERVILLE, Ill. – Americans for Prosperity-Illinois (AFP-IL) on Thursday issued the following statement in response to the graduated tax rates unveiled by Governor J.B. Pritzker. AFP-Illinois has long opposed scrapping the state’s constitutionally-protected flat income tax for a graduated tax. “Giving lawmakers a graduated income tax would be like giving them a blank check. Make no mistake, this is a tax hike on Illinois job creators that will only drive jobs out of our state and hasten residents’ departure. Illinois’ political landscape is strewn with broken promises when it comes to taxes. When the Illinois Senate passed the temporary income tax increase in the middle of the night in January, 2011, politicians told the people of Illinois that it would partially expire in 2015 and roll back even further in 2025. Then, over Independence Day weekend in 2017, lawmakers raised the income tax permanently. But they still want even more of our hard-earned money. The governor’s proposal would penalize families by not doubling brackets for married couples filing jointly, thereby creating a ‘marriage penalty.’ Also,many job creators who pay taxes on their business via their personal income tax returns would likewise be hurt by this proposal. A corporate income tax rate of 7.95% does not include the PPRT of 1.5%/2.5% paid by non-c-corps & c-corps, respectively. Thus, under the governor’s proposal, the top corporate rate would be 10.45%, which would make Illinois’ the third-highest in the nation.